While Microsoft's Edge browser might be trailing well behind the likes of Chrome and Firefox in terms of overall popularity and market share, the company is still eager to get their proprietary browser in front of as many potential users as possible. To do so, Microsoft will be releasing Edge on iOS and Android devices in beta form. 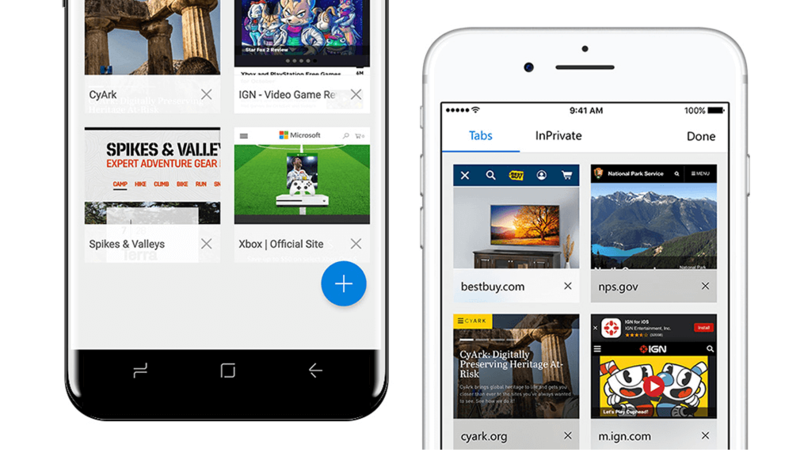 Edge's mobile version mirrors its desktop counterpart in many ways. With a simple, minimalist design and the ability to view trending news stories directly from the new tab screen. The familiarity alone should make the transition easy for anyone who regularly uses Edge on their PC. The biggest draw for potential Edge mobile users will likely be the app's "continue on PC" feature. This allows users to seamlessly switch from Edge on iOS or Android to the Windows 10 version, picking up right where they left off. This should make it easy to circumvent poorly-optimized mobile websites or frustrating mobile pop-up ads. According to Microsoft, your favorites, passwords, and other settings will also continuously sync in the background between devices, allowing for even fewer interruptions to your browsing flow. To sign up for the Edge mobile beta, you'll need access to a Windows 10 PC with the Fall Creators Update installed. From there, sign up for the Windows Insiders program and visit the Edge mobile beta page to select your mobile OS. iOS users will gain access to the beta via Apple's TestFlight service, whereas Android users will soon be able to check it out through the Google Play Store's app testing functionality.